Anne Meredith (Tracy) Burton, 88 a resident of Seekonk, MA died on Tuesday, October 2, 2018 after a long illness. She was the daughter of the late Harvey T. Tracy, Sr. and Ruth B. (Baker) Tracy. She worked at Bagels East, Eastside Providence and Herff Jones of Providence for many years. She graduated from East Providence High School and played the clarinet in the high school band. After WWII she became a member of the Civil Air Patrol based at the Old Hillsgrove Airport. She was a member of Grace Episcopal Church in Providence and sang in the womans choir. She attended the Seekonk Congregational Church and was an active member of the Earnest Workers. Anne had a strong faith. 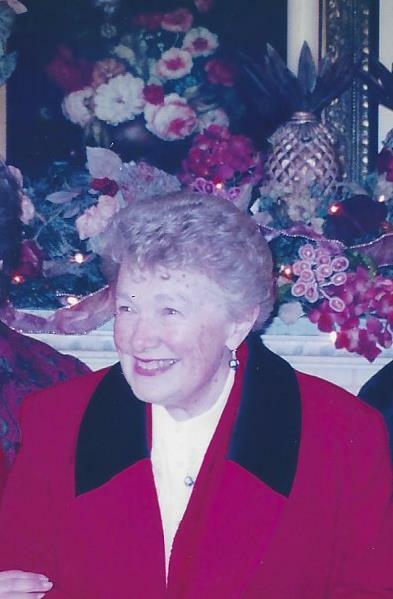 She loved baking and preserving, sewing and quilting and painting in oils. She had a love for the art of reverse glass painting. She and her husband, Arthur E. Burton Sr. raised their three children while living in Gloucester, RI. She later moved to Rumford, RI and after the death of her parents, to Seekonk, MA. She is survived by her children, Gail Finch of Seekonk, MA, Arthur E. Burton, Jr., of Westerly, RI, and Garry L. Burton, of Chepachet, RI. Daughter in Law, Frances R. Burton. She also leaves a brother, Harvey T. Tracy, Jr. of Falmouth, MA, and Sister in Law, Sally N. Tracy. Two grandchildren, Arthur E. Burton, III. of Westerly, RI and Michael E. Burton of Austin, TX. Three great grandchildren, Caroline, Dakota and Jace Burton. She was also the beloved aunt of Beth Tracy, Amy Doherty, and Joanna Martel. A memorial service will be held Saturday, November 10, at 10 a.m. at the Seekonk Congregational Church, 600 Fall River Avenue, Seekonk, MA. A reception will follow the service. Burial will be private. In Lieu of flowers, donations may be given in her memory to the charity of your choice. Arrangements have been entrusted to J.H. WILLIAMS & CO. FUNERAL HOME.